How do you raise a smart, respectable child who just so happens to change history? 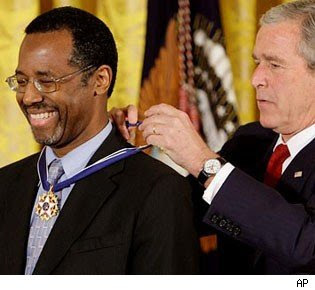 The world renowned pediatric neurosurgeon Ben Carson, MD, shares his experiences as a dad of three and the lessons of his mother, Sonya Carson, a single mom who had only a third grade education. What's the most important lesson your mother passed on? You are not a victim. My mother never accepted excuses from me, and when I tried to give them, she quoted a poem that began, 'You're the captain of your ship.' The bottom line is that we can go through life finding other people to blame, or we can own up to our situation and deal with it. That's exactly what I've taught my children. Did you ever have trouble relating to your boys? Just remember what it's like to be a kid. If you stop and think about what you once felt at your child's age, it can turn you into a considerably better parent.